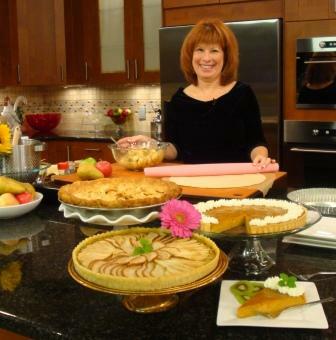 I love to bake pies but my most popular is one, though, is not pictured here – its my infamous chocolate pecan pie – Yum! It’s March 14, 2014 and while many of you may think that this is just the day before St. Patty’s day, others with a slightly more mathematical mind will get that its 3.14 or Pi(e) Day! Wish I had come up with the pun, but I must give credit where credit it due – Jessica’s Biscuit, a cookbook lovers’ website, just sent out their weekly Biscuit Buzz email with the pun in place to promote baking cookbooks. I just thought I would jump on in, and take advantage of the theme to bring you my most popular pie recipe ever – my infamous Chocolate Pecan Pie. Make it work for St. Patty’s by adding some Irish Whiskey in place of the vanilla and a tablespoon or two of the milk. Of course, I shop for cocoa at Charlotte’s Savory Spice Shop, SouthEnd. While they have several cocoa choices, I always land on the most chocolatey one – the Black Onyx Cocoa – for this particular recipe. 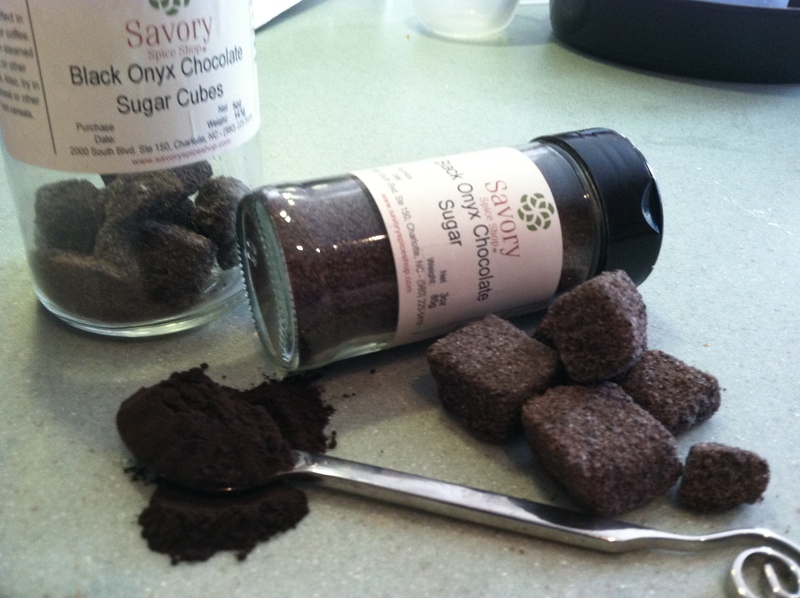 When you are picking up the cocoa, also look for Savory Spice Shop’s Black Onyx sugar, and if the luck of the Irish is with you, they will also have their Black Onyx sugar cubes in stock. Serve theses scumptuous sugar cups to sweeten up that cup of Irish coffee you plan to serve with your first slice of pie – delish! Local eggs from anyone of Charlotte’s farmers’ markets, organic sugar and milk and local pecans ( you can order local pecans, in season, from High Rock Farms in Gibsonville NC ) make this Pi, practically perfect. Speaking of perfect – if making your own pie crust has only brought you frustrations in the past, then toss all of your other recipes away and try this foolproof ( it really is) vodka pie crust recipes I took from the page of Cooks Illustrated Magazine some years ago. Still giving credit where credit is due, it really is the best pie crust I have ever made and I thank Cooks for doing the research. The vodka apparently has a better chemical reaction with the butter and flour than does water and creates a lighter flakier crust. Honestly I have never wondered much about why it works – I am just happy that it does and to tell you the truth , its fun to cook with spirits. 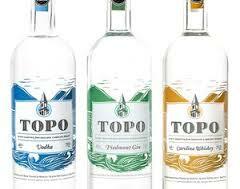 In the “spirit” of keeping things local and organic I have opted for TOPO Vodka here – NC’s own 100% organic vodka made in Chapel Hill – great stuff, available at all NC and some SC liquor stores – do give it a try. While you are trying you will also want to pick up a bottle of the TOPO gin as well -delish and the perfect addition to a spring or summer time Italian Negroni or all American gin and tonic. Liquor aside and back to pie, for my gluten free friends I have also included a delicious gluten free crust recipe here -give it a try and let me know what you think – no one – gluten free or not, should ever have to do without a slice of Pi! Carefully fit the dough into each of the French tart pans, trimming edges to fit. Place each on a baking sheet. Mix sugar, salt, and cocoa together. Whisk together the eggs, vanilla, and milk; stir into the dry ingredients. Add melted butter and stir until well blended. 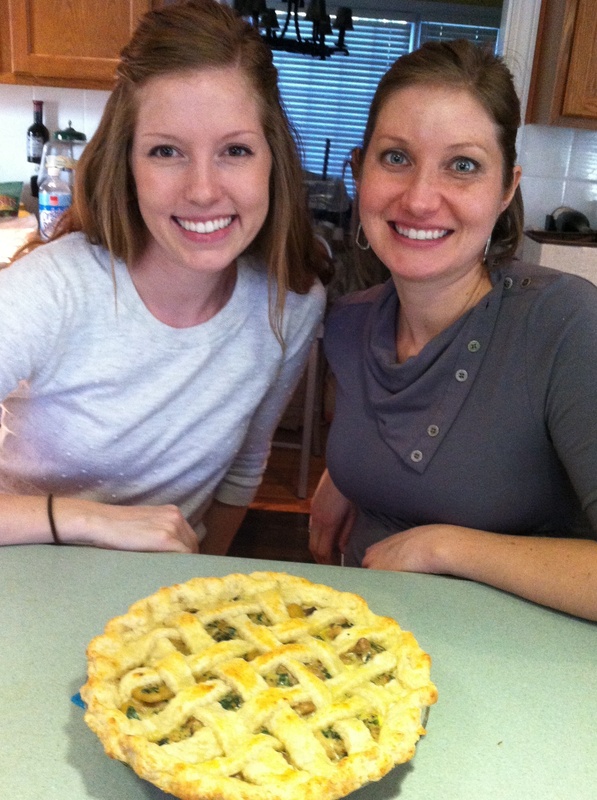 Fill each pie shell two – thirds full with pecan halves. Pour filling over the pecans. Bake in a preheated 350 degree oven for 40 to 45 minutes. Cool on a wire rack. If you are taking your tart to-go, transport them in the pans and then removed on site for easy serving. Top with freshly whipped cream or ice cream if you would like. Into the bowl of your food processor fitted with the steel blade (or a large bowl, if you don’t have a food processor), place the flour, xanthan gum, baking powder, salt, and grated Brazil nuts, and pulse a few times until well-combined (or whisk if not using the machine). Add the chopped and chilled butter, and pulse until the chunks of butter are a bit smaller and are covered in the dry mixture. Add 1/2 cup ice water to the mixture a bit at a time. If using a food processor, pulse repeatedly while dribbling in the ice water very slowly. After you have added this first 1/2 cup ice water, pulse a few more times to see if the mixture is beginning to come together in the food processor. If not, dribble in more water by the scant tablespoon and pulse. Stop adding water the moment the mixture begins to come together. Dump the dough out onto a large sheet of plastic wrap, enclose and place in the freezer until firm, about 30 minutes. If you are not planning to use the dough right away, but will use it within a few days, transfer the wrapped dough to the refrigerator, where it can keep for a few days. If you don’t plan to use the dough for more than a few days, freeze until solid and defrost in the refrigerator overnight before using. For more information about the Savory Spice Shop SouthEnd in Charlotte visit https://www.facebook.com/pages/Savory-Spice-Shop-Charlotte-South-EndDilworth/136994393059682 – Take in you old bottles of commercial herbs and spices from now till April 15 and take advantage of the Cash in Your Cupboard Event where the shop will pay you to bring in your old dried herbs spices and buy new ones!